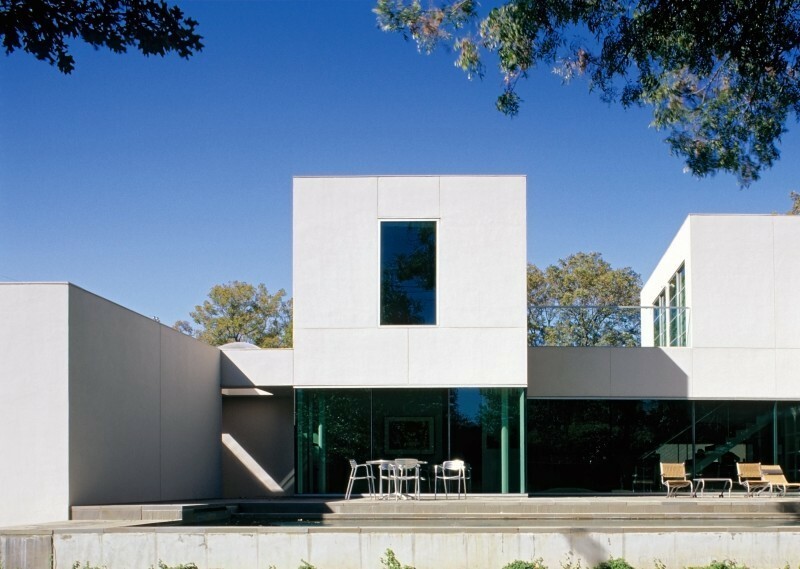 Rob Allen & Jim Buie of Longview, Texas, are architects who designed one of the few purely modern homes in Volk Estates. This white asymmetrical home uses sleek but rugged materials in which to raise a family. Modern architectural projects are often associated with grand estates, museums, or very private eccentric homes.